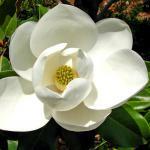 White, pink or even yellow, flowers from the many magnolia cultivars come in many shapes and colors. 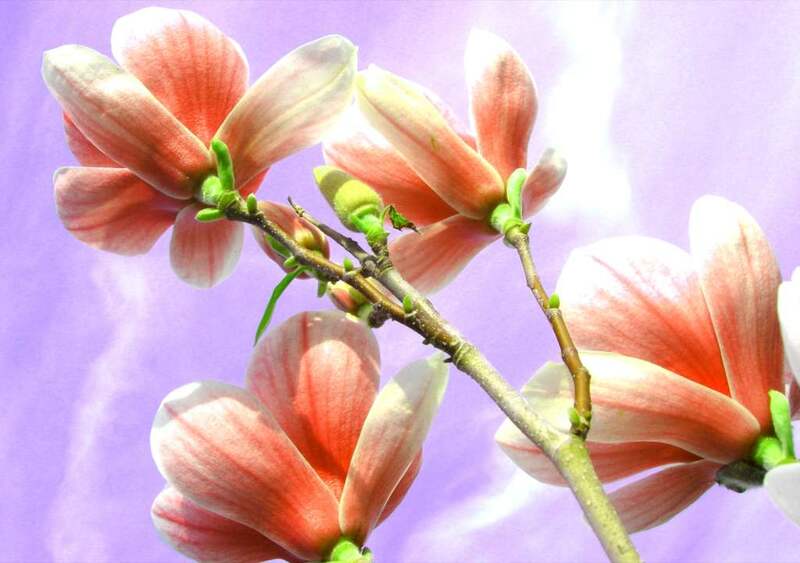 Their blooming in spring is spectacular: don’t miss it! 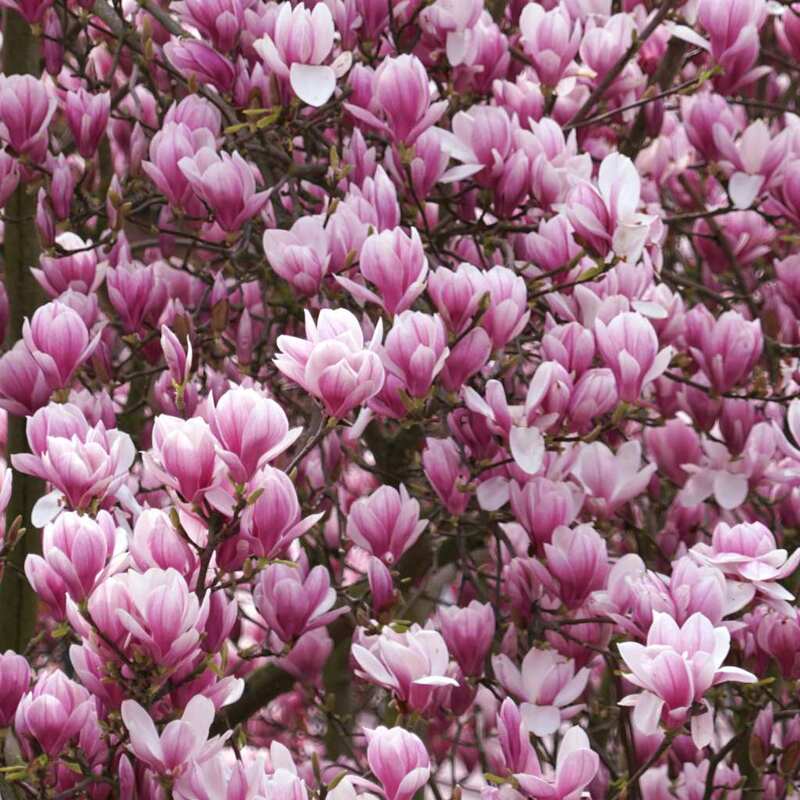 Native to China, Nepal, and Japan, deciduous magnolias are covered with flowers in spring. Rather easy to care for, they can be planted directly in the ground or in garden boxes (provide a container that is at least 16 inches (40 cm) across) in rich, cool, acidic and well drained soil. In the garden, fill in the planting hole with a mix of garden soil, soil mix and organic soil conditioner. In garden boxes, mix ⅔ rose tree soil mix to ⅓ heath. Place your magnolia in part sun, sheltered from strong wind. Care is rather light: no pruning and few chances of diseases. 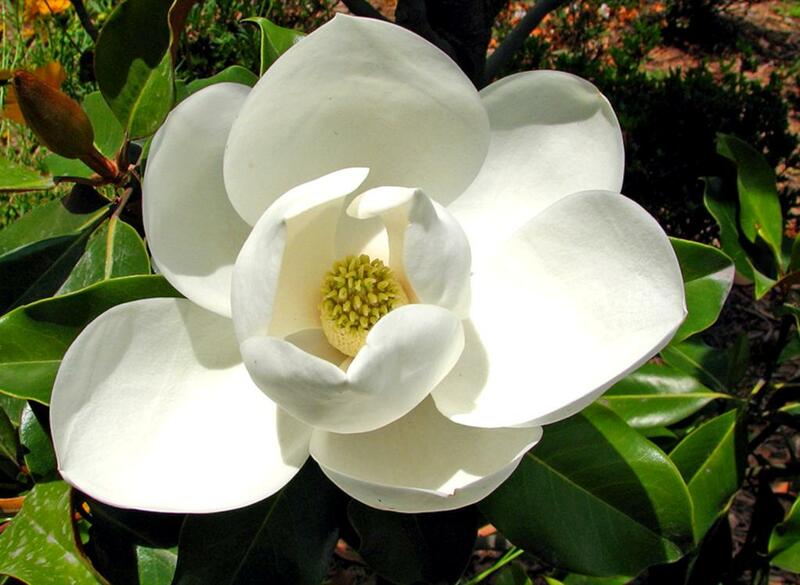 Water your magnolia during dry summers, and mulch its base to retain soil moisture. Its roots spread in the topsoil, take care to weed around its base and place it away from thirsty plants. In garden boxes, add fertilizer in spring and summer. The many hybrids make for as many shapes and colors. 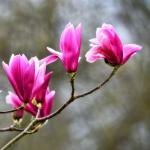 Yellow flowers can be found on such magnolias as the very hardy ‘Elisabeth’, or the golden-petaled ‘yellow bird’. If you’re more attracted to romantic pink flowers, test the ‘heaven scent’ variety which blooms late – May – and spreads a divine fragrance. It is well suited to harsh winters. For an explosion of pink hues, ‘Apollo’ blooms profusely and ‘Iolanthe’ has enormous flowers: they span 10 to 14 inches (25 to 35 cm) across! If white flowers are what you want, plant ‘Encore’, a variety that blooms spectacularly over several weeks from March to April. 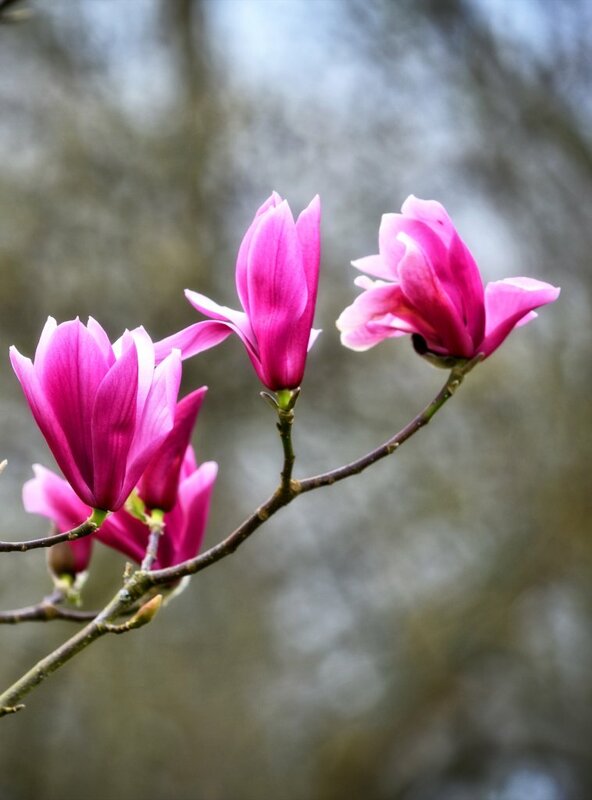 Magnolia flowers appear on leafless branches. To highlight their bloom, place your shrub in front of a green-hued background: evergreen trees or early trees. 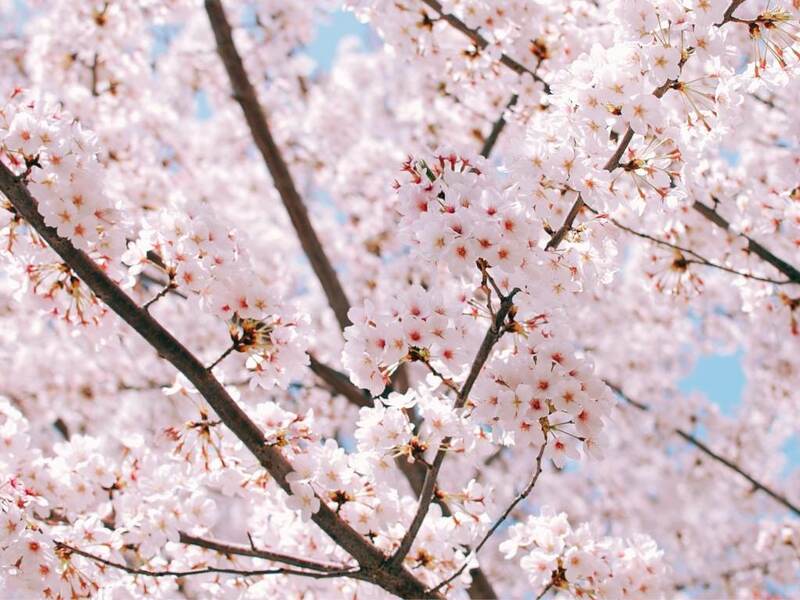 To compose a magnificent flowered view, set it near other trees that bloom in spring – azalea, Japanese cherry tree, ornamental apple tree, camellia, etc. – or berry shrubs such as purple-fruited Callicarpa.